When I’m in another country I spend time just people watching and learning about a culture by seeing what they do. I was recently in San Jose, Costs Rica, a large urban city in this Central American country. While there I witnessed the heart of some of its Tico citizens. I was sitting in a second story cafe watching the people walking on the Calle Central. 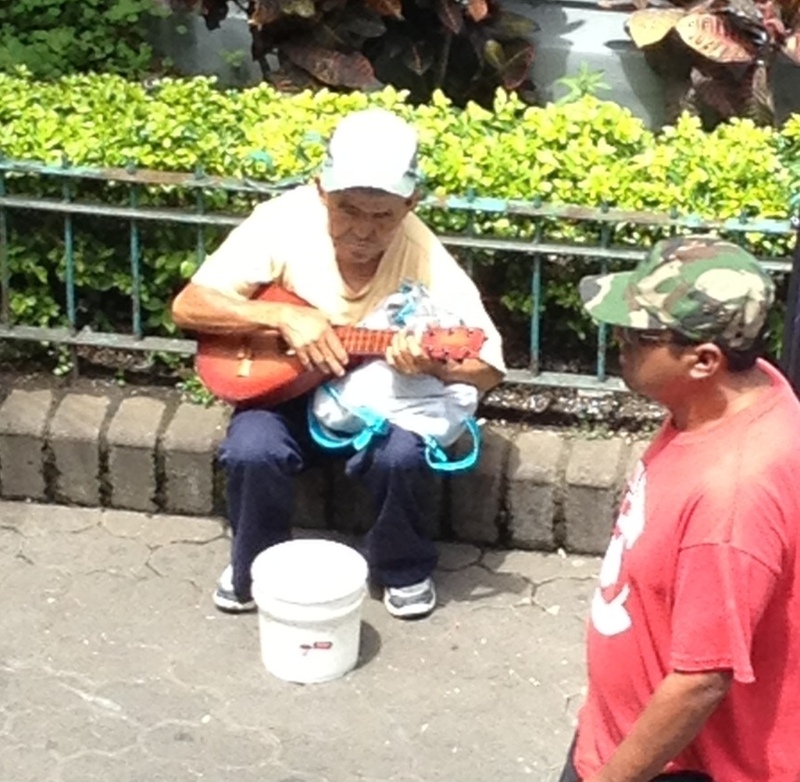 I saw, but could not hear a sweet little man busking on a mandolin type instrument. He wasn’t getting much attention until a young woman hurried to give him some coins just as he packed up to move on his way. I was happy to see this, but disappointed because I didn’t get to hear him play as he disappeared into the crowd. The next day, ahead of me on the street, I was elated to see the little man again! As I got nearer I could hear him singing and strumming. The closer I got I realize he sounded horrible. As I stood in front of him, I saw he was most likely mentally challenged, yet here he was playing his heart out. The young woman the day before, probably saw this and gave her coin with appreciation. Both of their gifts touched me as I witnessed them in a sweet moment in a busy city. Posted on March 11, 2013 March 29, 2013 by judy24Posted in celebration, community, consciousness, costa rica, energy, inspiration, intentional living, life, transformation, travel, Uncategorized, urbanTagged Costa Rica, CR, disabled, homeless, Random acts of kindness, san jose, Tico.